Tales from a country Grandma: A hooky first! Wooooo hoooooo!!!!! I am soooo excited! After several months, I have just finished crocheting the last of 168 granny squares for my very first proper delicious hooky blanket! It is simply amazing how working with such gorgeous colours lifts the soul! Originally I thought that 10 squares x 12 rows (a total of 120 squares) would be a perfect size, but soon realised that would be a bit on the mean side, and to be a decent snuggly sofa blanket, I needed to make it at least 12 x 14. Amazingly that small increase needed an additional 48 squares! 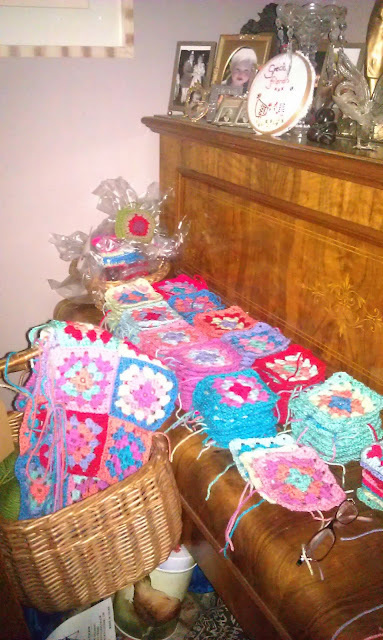 When all the granny squares have been joined together, I am going to add a border, which I have never attempted before. I think I will go for quite a simple one this time, and although I have been researching various ways to do it, am feeling less than confident! 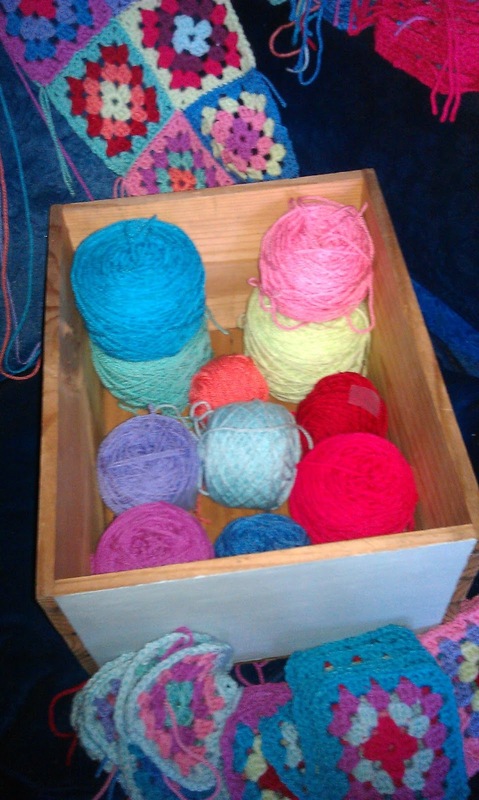 I think that as the squares look so good, I am worrying about ruining the blanket at the last hurdle! Anyway, all being well, I am hoping to get my 'Very First Proper Delicious Hooky Blanket' finished in the next couple of months. As soon as I do, I will post my very first official 'Whooooo Hoooooo Moment'!!!! Hi Helen - just popping by, great stuff going on.